Have you ever dreamt about a holiday in Los Angeles and Hollywood? During February you will have the chance to win this fantastic trip since The Boss, Mini-Me, is rolling out the biggest and shiniest red carpet in the casino. 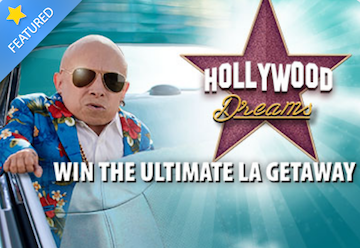 The grand prize is none the less but a VIP holiday including flight tickets to Los Angeles as well as four nights at a 4 star hotel, a helicopter tour over the city, a VIP experience at Universal Studios and tickets to a live show in Hollywood. However – if you don’t want this fabulous trip you can choose a luxury travel set from no other designer than Louis Vuitton, a Samsung 4K TV Entertainment bundle or an Apple laptop bundle. Bgo Casino goes big and during the competition you can collect free spins as well. First of all you will have to visit the promotion page at Bgo and hit the opt-in button. After that you will receive one ticket for every £10 you wager on videoslots of your choice. However – if you want double tickets you should play any of the Hollywood movie slots that are Ace Ventura, Kong, Marilyn Monroe, Rocky, The Flintstones and Top Gun. For every 10 tickets you earn you will get 10 free spins. You can grab up to 50 tickets every week during February at Bgo. The bonus spins will be available on Starburst, Aloha! Cluster Pays, Drive and Pyramid. Your collected tickets will be in the big draw on the 2nd of March when the winner will be randomly selected. If you don’t want the excitement to end at Bgo you can visit the live casino. The Boss offers a giveaway every week this month where you can win an iPad Air! It’s really easy to join the promo. Opt-in at Bgo and wager £10 on any live casino game you want. Keep in mind that you will have to do this on either tablet or mobile in order to enter the weekly draw. The winner will be notified by e-mail every week and you can enter each draw how many times you’d like. If you don’t have an account at Bgo it might be a good idea to become a member during February 2017 if you don’t want to miss out on these casino campaigns.